but maybe on just the passenger side. I'd love to see what some of you all have done. 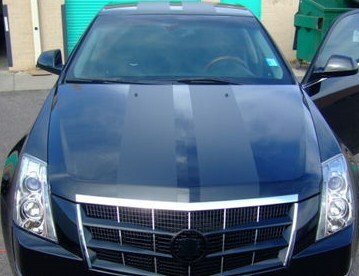 Post up some Picts of your cars with stripes!! 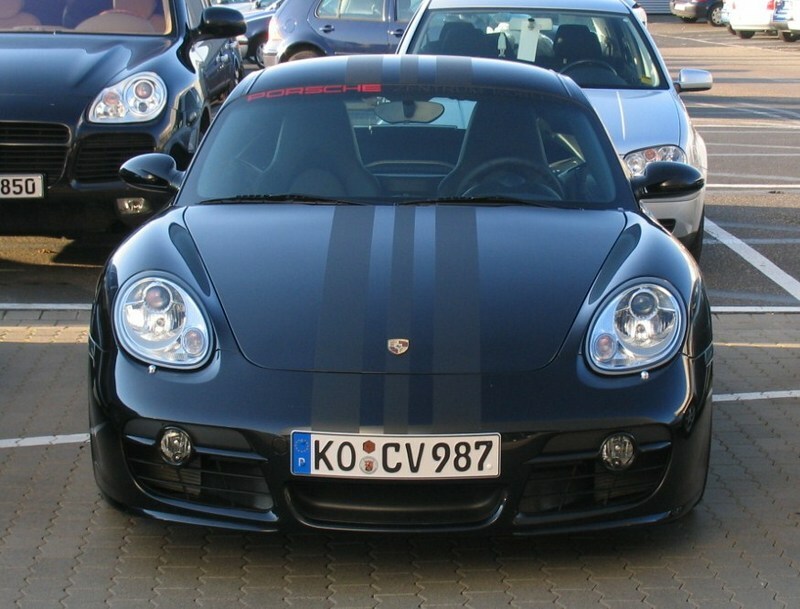 Porsche did stripes like that from the factory on a limited run of caymans (maybe boxsters too.) You could try and find a photo of that online and mimic it. I think they were called Porsche design stripes or something like that. I found a picture! 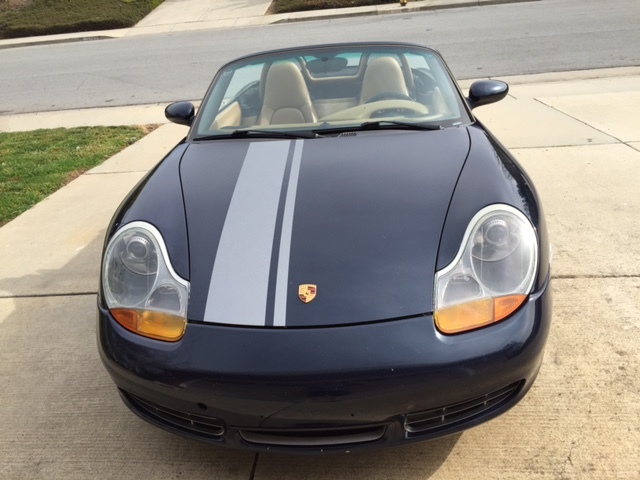 You could also go with something subtle, maybe martini racing stripes on the mirror? I did the german flag not to long ago. Whoa, King - that is awesome, thanks!! 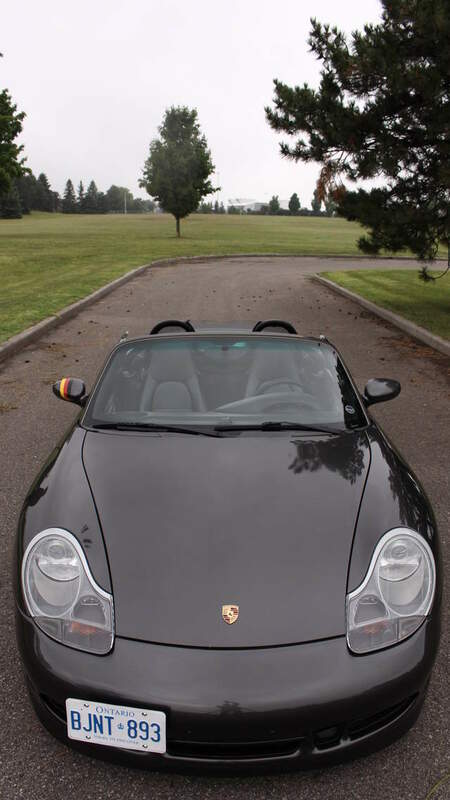 The black stripes on black boxster looks good. I think if you don't want to stand out try and go the closest color possible to your car but just go matte! Subtle but will change the car aesthetically! Well, if you look at my first post, that is what I was hoping for. Something subtle, understated, classy. What I got was something completely different. The vinyl is definitely somewhat see through, but clearly not as much as I had hoped. 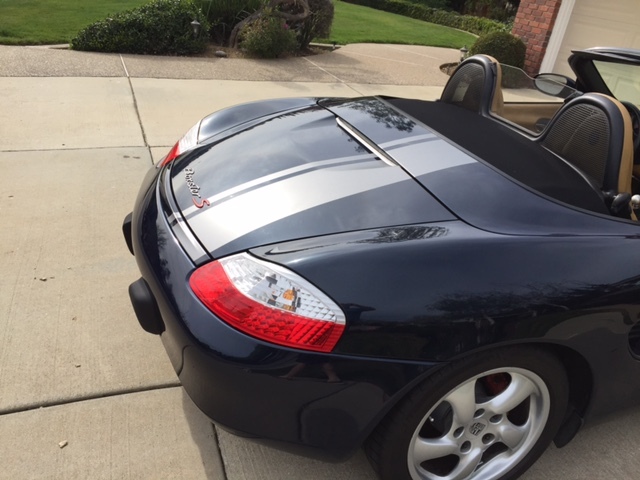 It is picking up some of the blue hue from the car, but still looks primarily silver. The good news is that I sorta like it and it's growing on me. Peals off easy if I get tired of it...your thoughts?? I like the stripes to carry thru the bumpers, just looks odd suddenly stopping. However, i like the concept in general. That actually looks way better than I thought! I actually like how it stops pre bumpers. Looks awesome! 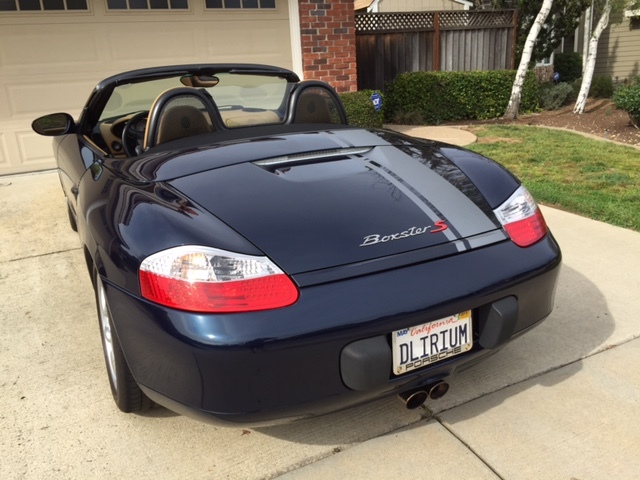 While I'm not a big fan of the stripe on the hood - I do really like the strip on the rear end. And do like that it stops at the bumper. Again, beauty is always in the eye of the beholder. For me, looks great.